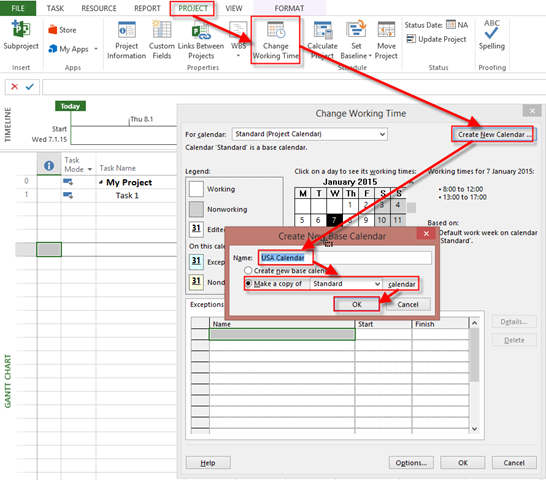 ← Duration, Units, Work and Schedule in MS PROJECT 2013. How are they linked, and some tips and tricks! 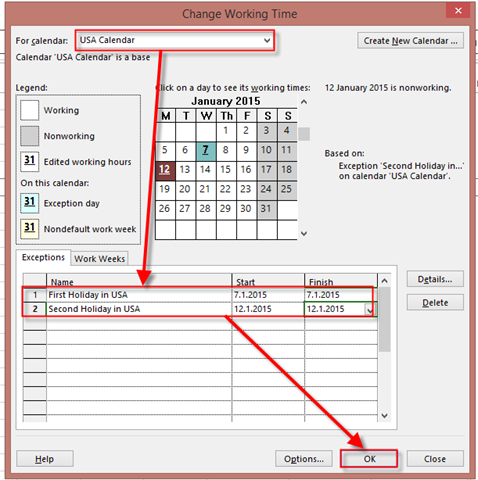 Multinational Calendars and how to use them in MS PROJECT 2013? I will show you how to do it in MS PROJECT 2013! Forget about reoccurrence for a moment, it doesn’t matter in this Scenario. As you can see, John has USA Calendar as Base Calendar, and Hans has Germany Calendar as Base Calendar. 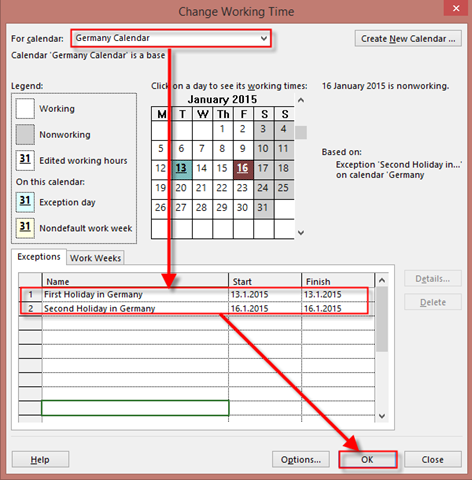 As you can see, John will not work at USA Holiday, and Hans at German’s Holidays. Both of them will work 80 hours per Task (because initial Duration was 10 days, and that means 10 days * 8 hours per day = 80 hours). But they will work according to they own Calendar. This entry was posted in MICROSOFT PROJECT, Microsoft PRoject 2010, Microsoft Project 2013, Microsoft Project Server 2010, MS PROJECT 2010, PMI, PRoject Management and tagged Microsoft Project 2010, Microsoft Project 2013, Microsoft Project 2013 - Calendars, MS PROJECT 2010 - Calendarts. Bookmark the permalink.